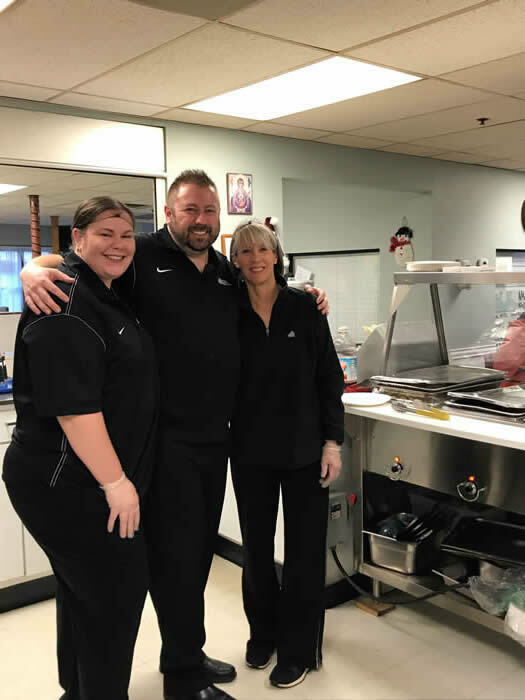 Reading, MA – Over the last several months, a number of Reading Cooperative Bank (RCB) employees have volunteered their time, once a month, to serve breakfast at the Lazarus House Soup Kitchen, located in Lawrence, MA. The kitchen serves breakfast and a hot, nutritious noon-time meal to anyone who comes through its doors, seven days a week, from November to April. Lazarus House Ministries has programs for people and families who are homeless or who have low income by offering emergency shelter, food and clothing, while also providing transitional housing, advocacy, education and work preparation. To learn more or to donate, please visit www.lazarushouse.org or contact info@lazarushouse.org.